A five-story condo building is in development at 14 N. Bishop St. in the West Loop. 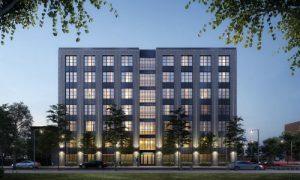 The building will feature ground-floor retail and parking alongside 32 for-sale condominiums available in three- and four-bedroom options with a starting price of $795,000. 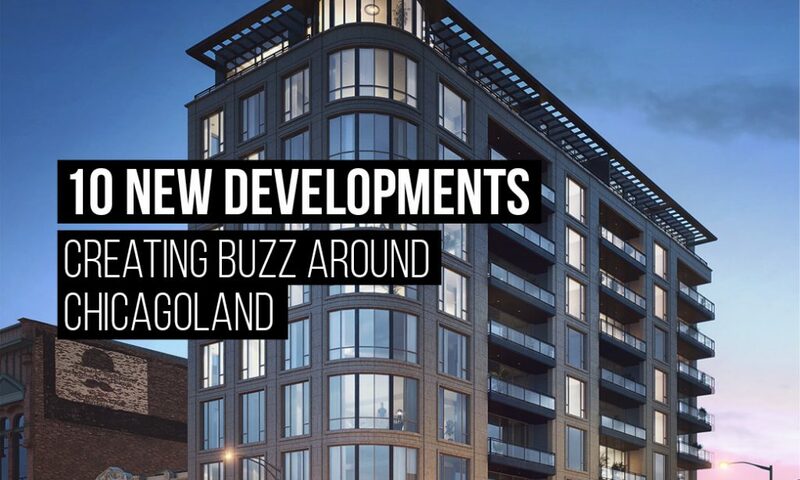 Architectural firm Sullivan, Goulette & Wilson, Ltd. is working with a development group and Chicago Pipefitters Local Union 597, which owns the land. They started construction in March without any pre-sale units. The residences are expected to be ready for move-ins in 15 or 16 months. In the footprint of the demolished Village Theater, the Gold Coast’s newest condo development will rise. When finished, the project will feature 32 two-, three- and four-bedroom floor plans ranging between $1.6 million and $5.8 million. 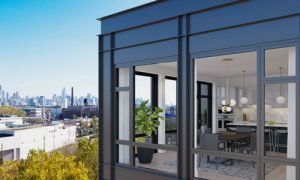 Unit sizes will range from 2,300 to 4,500 square feet, and many of the units will include private terraces and unobstructed views of Lake Michigan and Lincoln Park. The project is currently being designed by Solomon Cordwell Buenz and developed by Golub & Company, CIM Group and Avoda Group. Located on Taylor Street in Little Italy, Taylor Street Apartments at Roosevelt Square will feature 73 mixed-income apartments. The development also features a new 15,000-square-foot branch of the Chicago Public Library, dubbed the Little Italy Branch. The development is was designed by Skidmore, Owings & Merrill and developed by Related Midwest. The design currently has plans for open outdoor spaces available to all ages and a landscaped public rooftop with an outdoor reading room. The residences are expected to be completed in April 2019. On four acres near the corner of Elston and Webster Avenues, Belgravia Group is developing a 66-unit condo project dubbed Triangle Square. 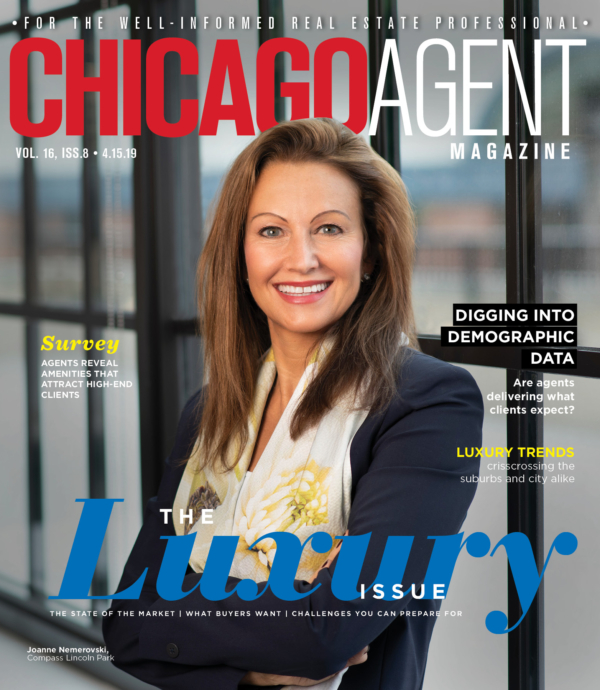 The area, which includes Sterling Bay’s 70-acre Lincoln Yards development, has benefitted from a rezoning to allow more residential development in a formerly industrial area flanking the Chicago River. Units will range in price from just under $500,000 to about $1 million. Delivery is expected by 2021. Across from Skinner Park on 1400 W. Monroe, this new condo development is expected to be seven stories tall and house 42 two- and three-bedroom units starting at $600,000. Unit sizes will range from 1,200 to 2,000 square feet and the building will have limited amenities in order to keep the building on the affordable side, according to Jerry Karlik of the project’s developer, JK Equities. Karlik hopes to begin construction on the project later this year and have it ready for move-ins within 12 to 14 months. 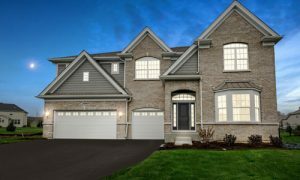 The project is located at the southwest end of Elgin, about 40 miles west of downtown Chicago, and will feature both townhomes and single-family homes ranging from $300,000 to the low $400’s. The development is situated around a city-owned 18-hole golf course designed by Rick Jacobson, and includes walking trails, and a bar and restaurant called Porter’s Pub. The community will also include a 55+ component. This development will consist of 21 new townhomes on Madison Street and Home Avenue in Oak Park, within walking distance of two CTA train lines and a Metra station. Layouts range between three and four bedrooms with sizes between about 2,200 and 2,500 square feet. Each home will feature a private extended rooftop deck, a balcony off of the kitchen and a two-car garage. Prices begin at $459,990 and the unit sizes range from 2,216 to 2,507 square feet. The project is currently being developed by Lexington Homes. 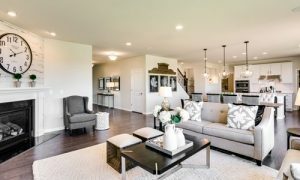 Located across the street from Plainfield High School, Northpointe offers nine different home designs within its Meadows or Prairies series ranging from two to six bedrooms with sizes ranging from just under 1,700 square feet to over 3,300 square feet. Developed by Pulte, these houses start at $299,990 range in price to just over $400,000. The subdivision’s grand opening took place on March 9. Plans call for annexation of the former family farm, which offers direct access to nearby Frontier Park, into the City of Naperville. Situated just off the busy intersection of 103rd Street and Route 59, the 113-acre development will feature 312 single-family homes from 2,300 to 3,500 square feet and priced from the mid-$400,000’s into the $600’s. Earlier plans initially called for a larger number of homes and for a commercial component, but Pulte opted to downsize the scale and change the character of the project to better match the needs of surrounding area. Currently being developed by Lennar homes, this subdivision is located on the intersection of Rt. 31 and Rt. 176 and is just three miles away from the Pingree Road Metra Station. Three- and four-bedroom homes are available ranging in price from about $330,000 to around $380,000. Each home is built with a WiFi Certified Designation and includes smart-home automation technology from Amazon, allowing residents access to services such as remote thermostat control, wireless touch entry and a video doorbell.